This product has been designed and manufactured in the UK for SmarTrack and has passed full e-mark. It is ideal for any self powered application.  Google maps. Internet based. If your driver knows that their vehicle is fitted with a tracking device they will become very aware to their speed, punctuality, fuel use and general driving behaviour!  Improve your driverâs time and time sheet keeping.  Improved driving style, system monitors speed and will email over speed warnings.  Reduced un-necessary mileage, including evenings and weekends.  Reduced idling of engine, excessive lunch breaks.  Very easy to use with no additional software, simply log in anywhere to check your fleet. Annual Subscriptions of: £94 vat per vehicle. 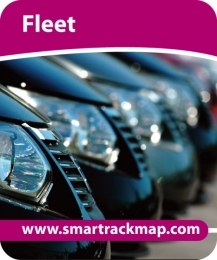 The Smartrack Tracker systems use the latest technology and simply combine great customer service with great GPS vehicle tracking device hardware.